Checkpoint inhibitors enable the body’s own immune system to recognize and destroy cancer cells. Immune system T cells are designed to detect and fight infections and diseases like cancer. They attack when they come across a cancer cell. Tumor cell secrete a substance which inhibits the immune system from attacking it, allowing them to thrive. Checkpoint inhibitors disrupt this process, unleashing the T cells on cancer. 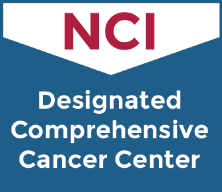 Checkpoint inhibitors are used to treat many different cancers, typically those that have metastasized. Among them are melanoma, non-small cell lung cancer, kidney cancer, bladder cancer, Hodgkin's lymphoma, and some head and neck cancers. Checkpoint inhibitors are sometimes combined to boost their power.